Yom HaShoah/ Holocaust Memorial Day- begins Wednesday night, April 11th, 2018. Yom HaZikaron/Israeli Memorial Day- begins Tuesday night, April 17th 2018. Yom HaAztma'ut- begins Wednesday night, April 18th, 2018. Lag B'Omer- begins Wednesday night, May 2nd, 2018. 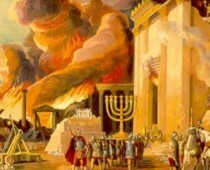 July 31th, 2018—Erev Tisha B’Av; fast begins 8:22 p.m. Sunday night and continues through 8:21 p.m. on Monday, Aug. 1th. We will meet for a somber, candle-lit reading of the Book of Lamentations at sunset on Erev Tisha B'Av at the JC3.